Clamps are used for fixing the pipe systems. 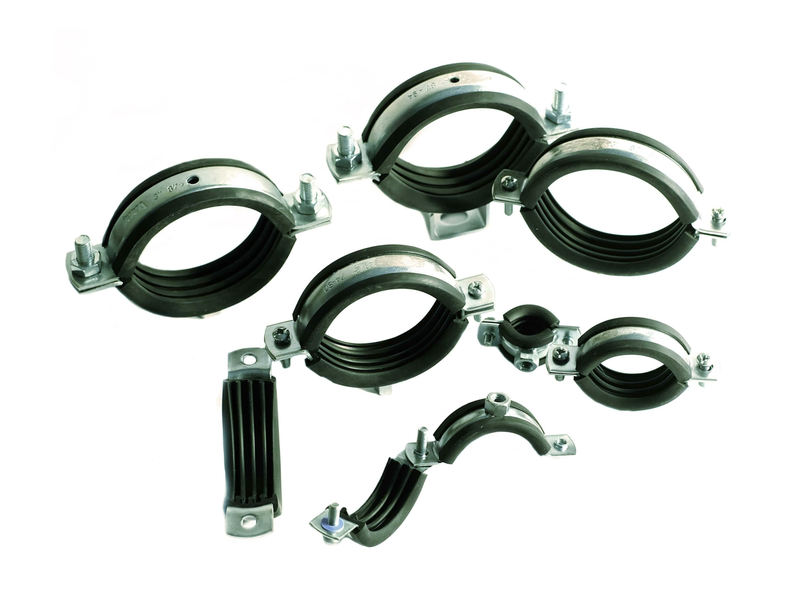 Seals are used as insulation material in order to prevent vibrational noises in the piping system due to voids in it and to avoid deformations during installation of clamps. Generally EPDM and PVC based gaskets are preferred. PVC generally wears off quickly because of his low UV & Ozone strength. Although EPDM gaskets are very durable, they have been restricted in some countries, especially because of the toxic gases they emit during a fire. Our TPE based CNT-PCG (Pipe Clamps Gasket) product has been designed with these needs of the clamp industry in mind. 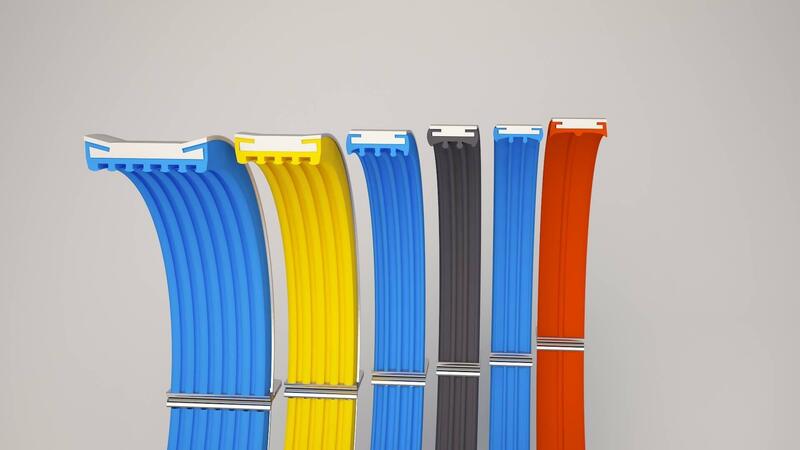 As a result of rubber phase of TPE raw material structure, vibrations and noises are easily damped. If desired, flammability can be achieved in accordance with DIN 4102 Standard. Due to high UV & Ozone resistance, it is long lasting even in outdoor environment. Owing to our R & D studies, our unique design has been registered at the Turkish Patent Institute (patent number 236/255). 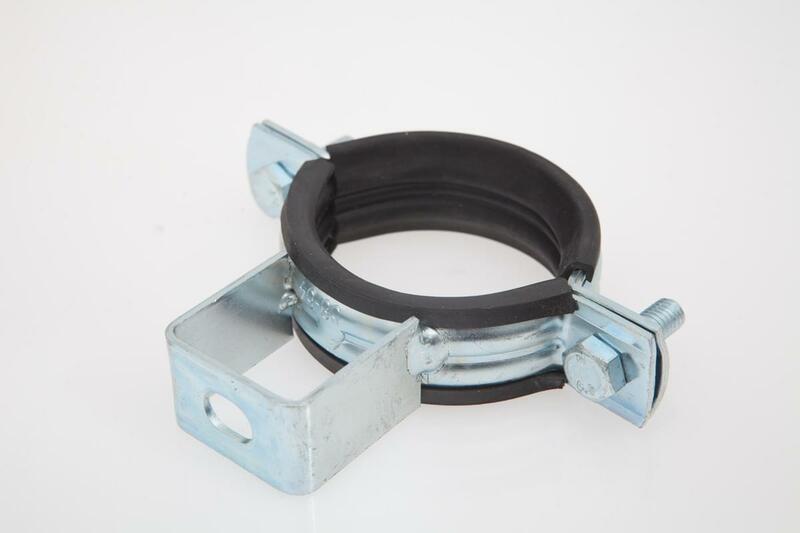 This design allows sealing rings to attach easily to the clamps. Co-Ex is possible, that is, TPEs with different properties can be used in a single product. Quiet - Rubber structure damps vibrations and noises. It does not leave you halfway due to its high UV & ozone resistance so it can withstand harsh weather conditions. Compliant with RAL GZ 655/656 Standard. Compliant with European Standards - ROSH, PAH and REACH.